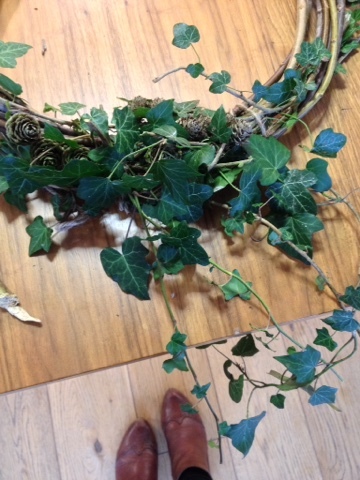 I've been getting into the festive spirit and spent the day making christmas wreaths with a couple of friends. 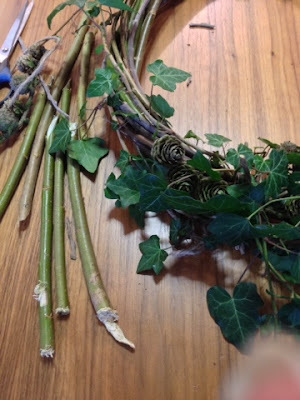 Now I usually go full on floral however this year i've gone all rustic, and spent the day with Wassledine willow growers, learning how to bend and form willow into a natural wreath. 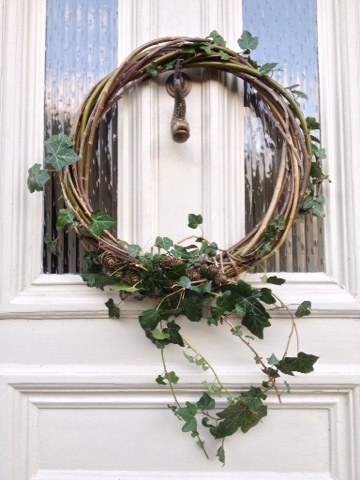 I think it looks quite lovely hanging on my door, I have to say I feel quite chuffed with my effort. 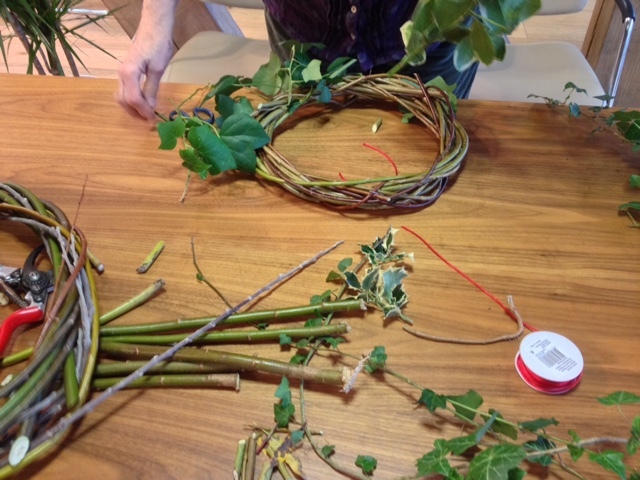 If you fancy learning the craft of willow shaping then give Wassledine a visit, they are going to be holding summer classes this coming year.